Help you understand a specific prospect agency or location. Provide additional tools for your day-of exhibit. Provide updated information regarding specific locations. Open additional channels for your message to a specific agency or location prior to your exhibit day. You can scroll down to learn more about each of the additional resources we currently offer. Several FBC events provide opportunities for exhibitors and sponsors to submit abstracts for consideration to present/speak at an event. Abstracts are reviewed and selected on a first come first serve basis until an agenda is full. If interested, we encourage companies to submit abstracts as soon as possible. Click here for the latest list of events with speaking opportunities.. Most events offer sponsorship opportunities that can help increase a company’s exposure leading up to, during and after an event. Opportunities vary to fit all types of budgets. Vendors can go as simple as upgrading their program listing with a company logo or go much bigger and sponsor a reception, conference app, etc. We also love new ideas so we can work with companies to come up with a customized package. FedPage.com is a web site developed by FBC, Inc. and was created for the Federal IT decision maker and end user. Fedpage.com is where the government registers to attend FBC events. When you participate in FBC events, your company information is presented to government attendees as they register, providing early, pre-event exposure for your message in your market. FBC has formed strategic partnerships with several companies offering additional products and services to help you get the most out of your trade show experience. DreamPort is a combination of state-of-the-art facilities, innovative programs, and imaginative people charged with finding that spark that leads to unparalleled capability for USCYBERCOM and the warfighters at large. Located in Columbia, Maryland, DreamPort was created under a Partnership Intermediary Agreement between the Maryland Innovation & Security Institute and United States Cyber Command (USCYBERCOM). Training, Consulting and proposal writing are critical components of your federal strategy. FBC works with Advantage Consulting to ensure that FBC clientele have access to informed, tactical approaches to specific opportunities. Advancing cyber security innovation and collaboration. Accelerate the pace of innovation in cyber security through global technology partnerships, education, investment, and community engagement. 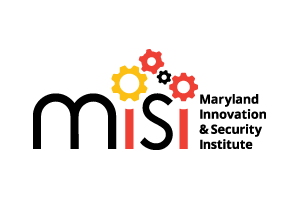 Capitalize on Maryland's strengths as a thriving global center of innovation and excellence in the arts, sciences and engineering, as well as its proximity to the Nation's key cyber organizations. Create a new kind of innovation center recognized throughout the world as a place of imagination, innovation, and commitment to creating a secure future for people, governments, and businesses in cyberspace. 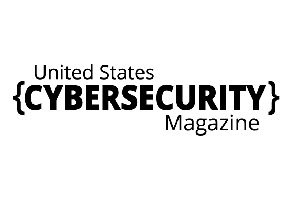 The United States Cybersecurity Magazine, A Division of American Publishing, LLC, is committed to bringing their readers the best and most topical cybersecurity information available. They provide a forum for those on the front lines of cyber-warfare, cybersecurity law and policy, and cybersecurity infrastructure to inform and instruct the industry and the public at large. 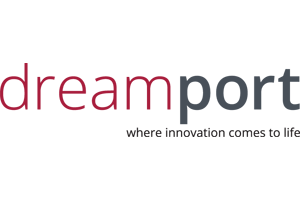 Their objective is to raise the level of awareness surrounding cybersecurity, cybercrime, and the industries that have grown up around them. Original content is published on a quarterly basis with an orientation towards providing solutions and solving problems, as well as exposing and explaining the most prevalent issues facing our cybersecurity community today. Their contributors include members of federal government cybersecurity agencies, divisions of the military, defense contractors, and private sector business owners, as well as academics in higher and primary education settings and some of the largest technology firms in the country. To receive your free membership, visit: www.uscybersecurity.net/subscribe.